Andrea Kreuzer is a Project Manager at WIDA. She works primarily with the professional learning and standards departments. She also supports internal evaluation work through logic model development and evaluation planning. Prior to managing projects, Andrea worked as a strategic initiatives specialist and professional learning programs coordinator in the professional learning department. 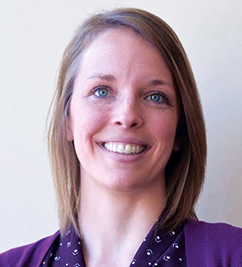 Andrea came to Madison from Washington, DC where she completed a Masters degree in Museum Studies and worked for an Arts Education Research and Policy organization. She recently completed a certificate in advanced study in program evalaution at Claremont Graduate Univeristy and earned a masters certificate in project management from the Wisconsin School of Business Center for Professional and Executive development.